Work to tackle loneliness is spreading across Barnsley communities following the success of a project set up in the Penistone district with work now starting on a ‘winter wellbeing’ campaign which will cover a large section of the town. 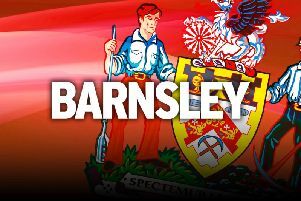 Barnsley’s South Area Council, which has a local authority budget to work on projects which benefit the area’s communities, has been planning work to tackle social isolation and loneliness for months after seeing the success of a project launched by its sister organisation, the Penistone Area Council, in that district. The project uses Age Concern staff and the charity has now started its own pilot scheme in the Wombwell area to establish the needs among residents in that area and find solutions which alleviate problems. Wombwell sits within the SAC’s area and councillors who sit on the body want to wait until there are findings from the pilot scheme before commissioning any major work themselves. But in the meantime they are to press forwards with a winter campaign, which is likely to build on the success of ‘sloppy slippers’ events, where pensioners have been offered the chance to trade-in old and ill-fitting slippers for a new pair, in an attempt to prevent falls. They were started by the Forge Community Partnership in the Hoyland district and proved so successful the idea has been repeated and expanded. This year’s campaign, expected to take in communities from Birdwell to Darfield across the south of the town, may feature another slippers event, along with the chance to get flu jabs done at the same time and access to other services. Earlier ‘sloppy slippers’ events proved the need for work to tackle social isolation because several people who attended had clear health problems and were referred to the dementia clinic as a result. It is estimated that every £1 spent on tackling the problem creates a payback valued at £6 in terms of future problems avoided. One problem she has faced while researching the issue is that little information about isolation has been recorded at a Barnsley level, so much of her work had to rely on anecdotal experiences of residents and professionals who deal with those experiencing isolation and loneliness. Transport and geography were obstacles that prevented the isolated from getting involved in social activities, along with a lack of awareness and information, issues around their confidence and the use of modern technology, she said. People also found increasing use of technology, such as banking machines and self-service supermarket tills, cut out the human interaction they wanted to experience. The meeting was told of one elderly woman looking forwards to a hospital appointment because it was the only contact with people she expected over the course of a week. Future options for the area council could include setting up a transport project, employing a social inclusion worker and forming a partnership with Age Concern. Area council chairman, Coun Mick Stowe, suggested working to find sources of grants which could help support future work.